The circuit is powered by DTR (pin4). I experienced some problems with YPLog using this power source. If YPLog is configured to use PTT from either the Parallel port or a different serial port from the one used by the CI-V Interface, the program drops the DTR signal, resulting in no power to the interface. This is easily resolved by powering the circuit from RTS (pin 7) instead of DTR (pin4). To test and/or debug the interface, I would strongly recommend using AA6YQ's CI-V Commander program. I have also used this interface to program my Yaesu FT50R. Only a change of connector to a 4 pole minijack plug was required. Probably the interface can be used with other HTs, although I have not tried it. 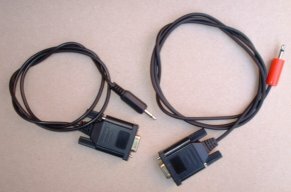 Note: If you intend using this interface with a USB/Serial adapter, beware of a possible issue with many of the cheap adapters available on eBay. 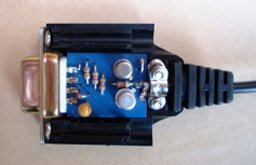 Many of these use counterfeit Prolific PL2303 chips. When Prolific discovered this, they amended their drivers to detect counterfeits. The drivers supplied with Windows7 & Windows8 will result in an "Error 10" when they detect the counterfeit chip. The workaround is to use the drivers supplied for Vista. Although I have successfully used the interface with a serial-USB adapter, I have seen USB CI-V cables from China at very cheap prices on eBay. Consequently, if your PC/Laptop has no serial ports, it's hardly worth the effort of building this interface nowadays. So just get a USB interface from eBay. 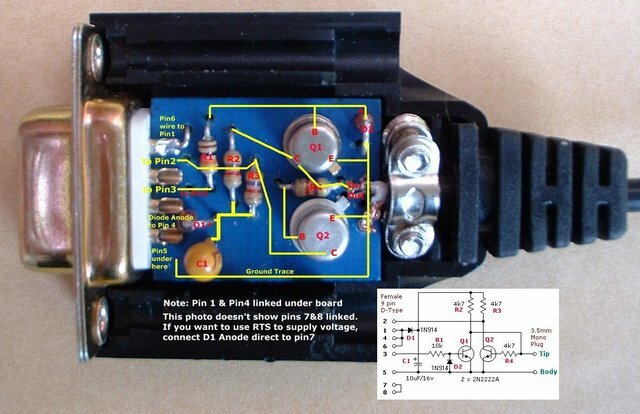 Disclaimer: Although I have tested and used the above circuit on my own IC735 and IC706mkIIG with no problems, I do not make any representation or guarantee that this circuit will function, nor do I accept any responsibility whatsoever for any damage or malfunction arising from the use of this circuit.